You must have heard about Organ Donation. But did you ever think what are its pros and cons. There are merits and demerits of every thing. Read this article if you want to take your knowledge to one step further. You will definitely find something interesting and inspiring on this page. Almost every part of body can be donated. Heart, heart valves, liver, kidney, bones, skin, tissues, eyes, pancreas, intestines and several other organs can be donated. It also depends n your condition at the time of death that which organs are usable or not. Sometimes some organs can't be donated due to some infectious disease at the time of death. So if you want to be a real donor then try to stay healthy till the end. 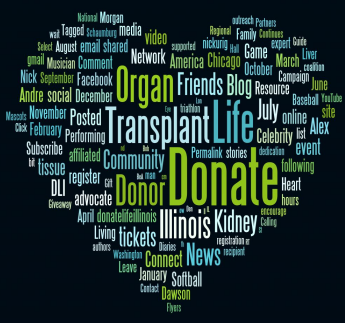 When we talk about organ donation, we think that organs can be donated only after death. But the fact is that some organs can be donated while still living. For example kidney and liver. It take a lot of courage to do so. One can do it only if he/she cares too much for the patient. No, there is no age limit for organ donation after death. Organs are examined after death, and if they are found healthy only then they are transplanted to some potential recipient. More than 122 thousand patients are waiting for organ transplant in USA. 1 patient is added to the waiting queue in every 12 minutes. 18 people in USA die everyday due to lack of donors. As per my knowledge Religion don't have any authority to say anything about Organ Transplant. Most of the Religion are quite old and when their scriptures were written there was no such thing like "Organ Transplant". People of that time don't even know that anything like that would happen in future. A good religion will always tell you to save someone even by sacrificing your selves. However if you bring some preachers of different religions to talk about that then they will must say something in favor or against it. So just accept what you feel right. After all its your body. But also think one more thing - Will this body be yours after death ? After death you body will decompose into nature either in one way or another, so better give it a chance to stay longer and help humanity and then get decomposed after few more decades. Human Breed is known as the one who takes the lives of another to fulfill their greed. God is the one who gives us lives. By donating our organs we can be a helping hand to the god by saving lives. DO you know that organs from a dead person can save lives of 8 patients. It will not only save the needy patients but it will also give a new life to their closed ones.